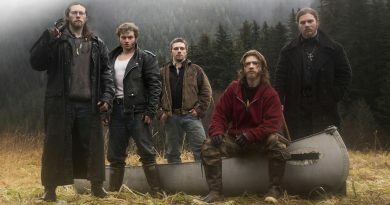 Here’s a list of contestants seen on Alone Show in Season 2 with videos explaining the list of ten survival items they took to Vancouver Island. There’re a few noticeable differences in strategies compared to Alone Season 1 contestants. The biggest surprise was two contestants chose two 5-pound bags of emergency rations on their list of ten items. Would you sacrifice a gill net (for instance) providing a long-term food source, and instead chose an extra 5 pounds of emergency food rations? One salmon alone can weigh more than that. It’s an interesting strategy and something I never considered. But after listening to both contestants reasoning, I’ll have to give it some more thought. O.K. lets get on with the list of Alone Season 2 contestants. Desmond White on Alone covers the 10 items He brought to survive on Season 2. At the end of the video about to be dropped off all Alone on Vancouver Island, Desmond says, “If you get there and have a plan in your mind or have these expectations of what’s going to be out there, and you go out there and it’s nothing like what you expected, you’re not going to be out there very long“. Considering Desmond lasted only a few hours on Vancouver Island, that’s probably excellent advice. Tracy Wilson on Alone Season 2 also goes over the 10 survival items she chose to bring on the Show. What’s the first thing any expert outdoor survivalist does when stuck on an island all Alone for up to a year? Tracy immediately identifies a food source before the Alone Shows Crew’s still in view and starts chomping down on some bull kelp right out of the Sea. Clearly, She did her homework and was prepared to survive on Vancouver Island. But I’m not sure the Bears were ready for her when Tracy chased after them in the middle of the night. Mary Kate Green on Alone Season 2 was cut from the Show shortly after slicing her hand with an ax. Out of all the scenes from all the episodes of Alone that scenes forever ingrained in my mind. Ouch! Mary Kate had no choice but to tap-out and went to the Hospital ASAP. Second place winner of Alone Season 1, Sam Larson, interviewed Mary Kate on his YouTube Channel posted below. Considering she was doing great surviving on Vancouver Island until that point, maybe the History Channel and the Alone Show will give Mary Kate another opportunity in Season 3? Mike Lowe on Alone Season 2 almost made surviving on Vancouver Island look a little too comfortable. After 30 years teaching outdoor wilderness survival skills, Mike had lots of knowledge he willingly shared on the Alone Show. Lowe goes over the list of 10 items he chose (2 emergency rations?) shortly before being dropped off somewhere on Vancouver Island. Mike said, “The main reason I want to do this journey, this adventure, is to discover things about myself that I didn’t know.” Lowe almost lasted three weeks on Alone before finding the answer he was seeking, and her name is Barbara. 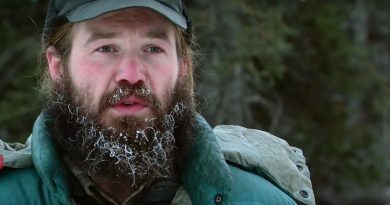 Randy Champagne on Alone Season 2 goes over the list of 10 survival items He took to Vancouver Island. Randy’s a wilderness survival instructor for the “Back 2 Basics Outdoor Adventure Therapy” surviving in the wilderness for a month at a time. 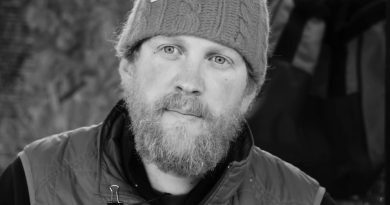 Champagne also specializes in primitive tool making including the handmade bow and arrows listed as one of his survival items chosen for the Show. He lasted a little longer than Mike did on Vancouver Island before both contestants came to the same conclusion. What’s the purpose of surviving if you’re all Alone? Justin Vititoe on Alone Season 2 goes over the list of 10 survival items before flying off to a Cove on Vancouver Island. Joe’s on a mission not only to survive Alone for up to a year but also bring awareness to the non-profit Hike 2 Survive program for Veterans. On the 22nd day after being Alone on the island, Justin climbed a distant mountain in remembrance of the twenty-two Veterans who take their lives every day. His entire campsite turned into a swampland the night before and needed rebuilding in a new location. But it was the 22nd day, and nothing was going to stop him from climbing that mountain. Was it wise during a survival situation and being all Alone? Probably not, but it was worth everything knowing He completed the mission bringing awareness to this very real problem. Justin has an ongoing crowdfunding campaign if you’d like to sponsor a Veteran to attend a Hike 2 Survive event. Larry Roberts on Alone Season 2 goes over the 10 items he brought to survive on the Show. Surprisingly, Larry changes his mind on a few survival items he was bringing to Vancouver Island at the last minute. We’ll have to see if it’s the correct decision because as of right now Larry’s still surviving Alone. What would be your first reaction after being dropped off by helicopter on Vancouver Island? Well, in Larry’s case, He spoke for most of us when the reality of the Reality Show became real. Larry simply said “Holy crap, what the heck have I done” after realizing He’s finally all Alone. Visit the Larry Roberts YouTube Channel filled with Outdoor Survival Tips. Dave McIntyre on Alone Season 2 shows off his 10 survival items before going to Vancouver Island all Alone. Dave’s first words after being dropped off were “I Am Home”. He admires the surroundings for a brief moment before going into survival mode and gets right to work. One of McIntyre’s list of ten items was 5 lbs of emergency rations. You can take 5 pounds of any emergency food rations, but bringing Pemmican wouldn’t be high on my list. You make Pemmican with fat and dried meat. In David’s words “It tastes like dog food”. Yummy! Nicole Apelian on Alone Season 2 has to be the happiest campers ever seen on the Show. Apelian didn’t become a contestant on the Alone Show to survive but to thrive on Vancouver Island. When dropped off and all Alone for the first time, Apelian couldn’t have had a bigger smile on Her face. In real life, Dr. Nicole Apelian’s an Anthropologist and Safari Guide working with the Kalahari Bushmen of Botswana. Nicole’s also a founding member of a Safari Wildlife company called Eco Tours International. When it comes to surviving Alone on Vancouver Island, this girl’s having the time of Her life enjoying every minute of every day. As far as finding food goes, well let’s just say this hasn’t been a problem thus far. Nicole’s caught so many fish she let salmon go because she couldn’t eat anymore. We’re talking about a long-term survival situation with a $500,000.00 prize at the end, right? Whatever your views on that decision, one thing’s for sure, Nicole Apelian doesn’t seem the least bit worried about finding more food on Vancouver Island. Even if it require’s sharing her food source with the local bears. Jose Martinez Amoedo on Alone Season 2 is the last and most mysterious cast member on the Show. On Jose’s new YouTube Channel He lists Bushcraft, Survival, Preparedness, Primitive Technology, Adventure, Fishing, Bow Hunting, Camping and Medieval Full Contact Fighting. Somehow Jose Martinez forgot to mention being an artist when it comes to making “things” with wood. Making things like a canoe only using a bushcraft knife and a small multi-tool for instance. What lot’s of viewers watching Alone don’t realize is Amoedo’s also a Medieval Full Contact Fighter in real life. You can watch Jose fight in full contact uniform here. Jose Amoedo’s originally from Galicia, Spain, before moving to the Yukon Territory in Canada. His primitive survival skills proved worthy of the Lakota Nation adopting him dating back to 1996. I’m not sure how Alone Show tracked Jose down for the Show, but I’m sure glad they did. Everyone can learn from Jose Martinez Amoedo’s outdoor survival skills. How many days will Jose survive on the Alone Show? Considering the Lakota Nation’s been thriving off the land for hundreds of years, we might be waiting a long time. As far as Outdoor Reality Shows go, we give the Alone Show a solid 4.8 Stars out of 5 Stars. The only reason Alone doesn’t get a perfect 5 Star rating is that all the contestants always have a way out of the survival situation. A simple push of a button informing the Alone Show Rescue Crew you’re tapping out is all it takes. One minute you’re eating bull kelp and half-dead salmon, and within hours feasting on a juicy steak with an ice-cold beer. But as far as Outdoor reality TV goes, appearing on the Alone Show is about as real as it gets. 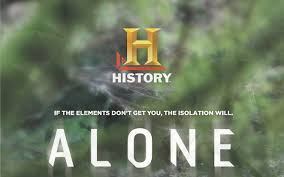 Watch Alone on the History Channel Thursday nights at 9 P.M.